PDF was created by Adobe in the 1990s to achieve two things. 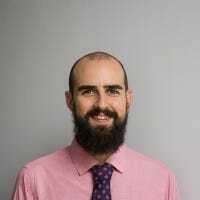 The first is that people should be able to open the documents on any hardware or operating system, without needing to have the app used to create them—all you need is a PDF reader, and these days most web browsers fit the bill. The second is that wherever you open a PDF, the layout of the document should look the same. PDFs can contain text, images, embedded fonts, hyperlinks, video, interactive buttons, forms, and more. Because PDFs are a standardized format, there are a considerable number of apps out there that can open PDFs. Web browsers, Adobe’s official Acrobat Reader, third-party apps, and even word processing apps. Chances are if you’re reading this article, the web browser you’re using is capable of viewing a PDF, and doing so is mostly the same on macOS and Windows. 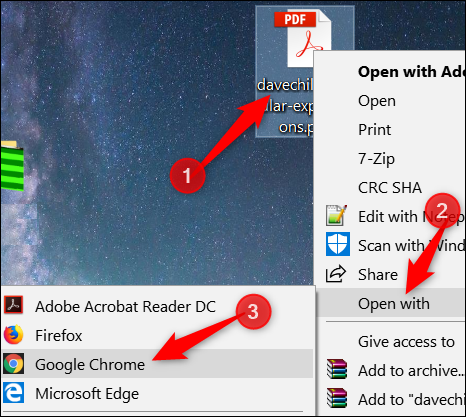 If you don’t have another app that can read PDFs, the chances are that your browser is already the default app and you can just double-click the file to open it. If not, right-click the file, point to the “Open With” menu, and then click your favorite browser. The results are similar to any other program out there. Adobe’s Acrobat Reader is the official tool for reading PDFs. It’s free, and it’s available for Windows, macOS, iOS, and Android. After installing Acrobat Reader, all you have to do is double-click on any PDF you want to open. And as you can see, it has a whole lot more features for controlling your view, as well as the ability to export PDFs to an editable format, such as a Microsoft Office document. Of course, there are also third-party apps for viewing PDF files, some of which are faster and less bloated than Adobe Reader. If you need to edit a PDF but have it stay in PDF format, your options are limited. The gold standard here is Adobe’s own Acrobat DC. Unfortunately, it’s kind of pricey. The standard version is $12.99 per month and requires an annual commitment. It’s also only available for Windows. The pro version is $14.99 per month and also requires an annual commitment. That one is available for both Windows and macOS. There is a seven day free trial period available for the Pro version, so if you only need to edit a document or two, that might work for you. There are also some free utilities available out there. Our favorite is PDF-XChange Editor, which lets you make basic edits and annotations. There are several ways you can create a PDF out of almost anything—Word documents, web pages, and so on. To start with, both Windows and macOS allow you to “print” to a PDF file. So, pretty much anything you can print, you can save as a PDF. 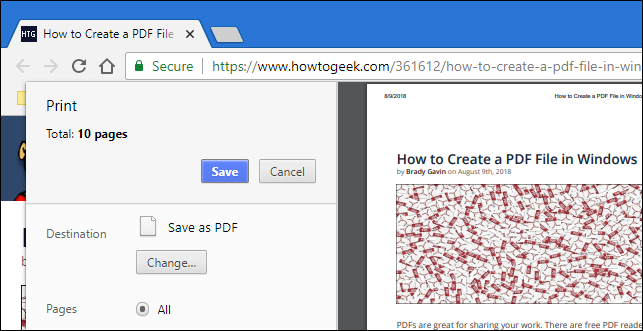 Some apps, like Chrome, also have their own built-in PDF printers. If you need more control over how your PDFs turn out (like if you’re preparing something for professional printing), you’re going to have to turn to Adobe’s Acrobat DC. You can also convert a PDF into some other file format that you can more easily edit. Typically, you’re going to want to convert your PDF into something your word processor can handle. 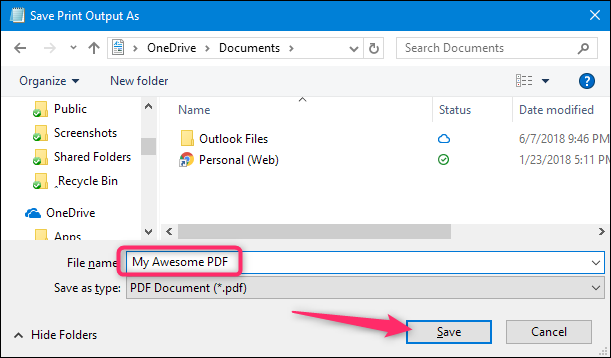 We’ve already got great articles on converting PDFs to Microsoft Word or Google Docs, so give those a read if that’s what you need to do. Even if you use another word processor, it should be able to handle either of those formats after the conversion. The only trouble with converting documents using Word or Google’s built-in tools is that they can sometimes have difficulty maintaining complex formatting and layout. If you have a PDF that fits that bill, you might want to try Adobe’s Acrobat Reader DC. While the app is free, you do have to pay a $1.99 per month fee if you want it to be able to convert PDFs to other formats, like Word. If it’s something you need to do regularly, that fee is probably worth it because using Acrobat is the most reliable way to change your PDFs to Word documents, since it tends to maintain formatting pretty well. And of course, the full version of Acrobat DC can also do the job, but it’s not worth the added cost if all you need to do is convert documents. There are also some online conversion tools that you can use if none of these others suit your needs. Since these solutions are cloud-based and allow you to convert any PDF you have without the need to install software onto your machine. It is, however, essential to keep in mind that you have to upload your document to their servers in the process, so if your document has sensitive information, you might want to skip this step. Zamzar is one of the more popular online file conversion sites, and it’s worked well for us. Their free service lets you convert any file up to 100 MB in size. After you upload and choose what format you want to convert it to, the document will be emailed to you with a link to download. One added benefit to using Zamzar is that it supports a vast number of formats to which you can convert, including various document, image, and even eBook formats.